Ottawa-based e-commerce platform Shopify has had its share of setbacks. Just last month, its shares slumped by 5 percent after news broke that its rival Magento had been acquired by Adobe. But the Canadian firm remains focused in helping many small entrepreneurs set up their own online stores. Shopify vice president for user experience Lynsey Thornton, in a recent interview for a Dublin website, said the company has always been able to buck challenges and more importantly, aid thousands of small business owners in selling their stuff online. She noted that nearly 2,000 businesses in Ireland are using Shopify to sell their goods on the Internet. And what’s more notable is that these Irish businesses are raking in good money. She mentioned that Irish firms using Shopify have gained around 55% increase in sales last year. She added that Shopify simplifies the process of setting up and managing an online store, allowing business owners to grow their firms instead of trying to learn something they are not familiar with. Shopify was established in 2004 by Tobi Lutke after realizing that there were no easy online resources or tools for entrepreneurs wanting to build their e-commerce stores. 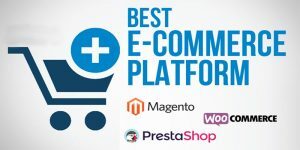 It allows entrepreneurs to sell their stuff online in many places such as their own online stores and even in third-parties like Instagram and Facebook. Thornton says that a decade ago, setting up a website cost hundreds of thousands of dollars. But with Shopify, online merchants can get started on their own online stores for a mere fee of $29 in a month. Aside from giving the tools for companies to get their online operations started, the e-commerce platform has also provided other services. For example, it assesses how much marketing dollars users should allocate. It also helps in gathering and analyzing customer data.